Crypto.Review is a brand new hub for everything blockchain, aiming to become the most useful and trusted resource for anyone that wants to gain any information on anything blockchain related, no matter whether you are a complete novice or an expert in the community. Ben has always had a passion for content and marketing, with an even bigger passion for blockchain and cryptocurrency. Ben is now ready to focus all his energy into Crypto.Review. Both he and the team will work together to become a leading authority within the blockchain ecosystem. 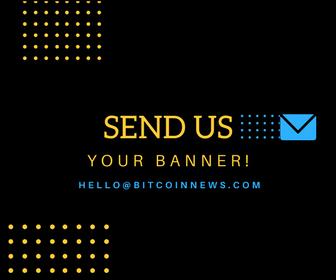 Helping consumers get the most up to date, unbiased and useful information about crypto products and services. The Crypto.Review team has been working hard to provide detailed guides on blockchain products, such as exchanges, coins, wallets and more. As an example, each exchange is rated based on criteria such as security, features, fees and customer support. Very soon Crypto.Review will be making their mark rating token generation events, in a hope to become a leading authority on what’s hot and what’s not. Additionally to the rating of services and products, the Crypto.Review team aims to use their wide array of knowledge to produce detailed and 100 percent authentic user-friendly content about blockchain, helping users get started. This is important since the vast majority of the global population still have little understanding of this technology. Crypto.Review will help give impartial advice and advocate a user-friendly base that anyone is able to trust when making decisions. Crypto.Review is an intuitive cryptocurrency and blockchain focused website providing deep state analysis and comprehensive reviews on all kinds of products and services such as exchanges, wallets, coins and token sales. For crypto-enthusiasts seeking a looking for a reliable service and blockchain database, Crypto.review is one of the better options available. The teams experts will help newbies through this blockchain space, and chose from a library full of resources aimed at any user with any level of blockchain experience.